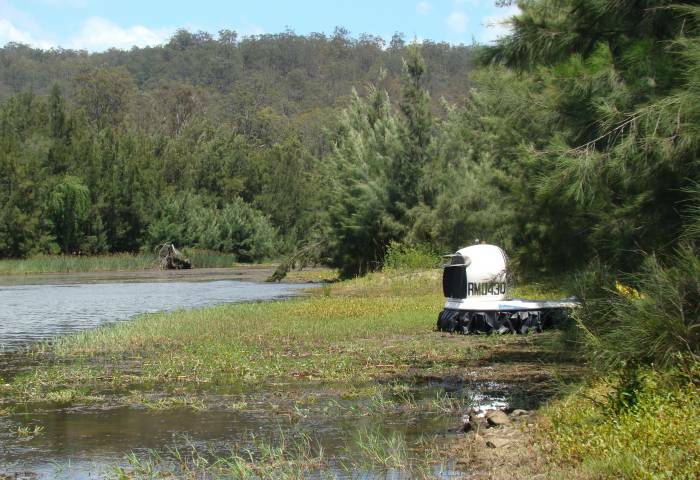 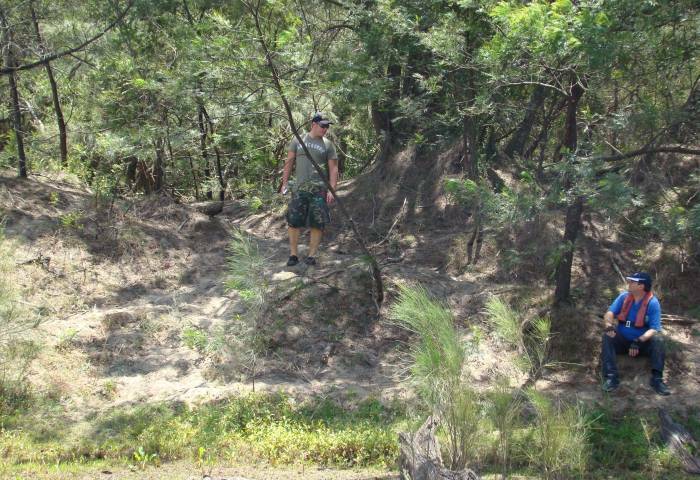 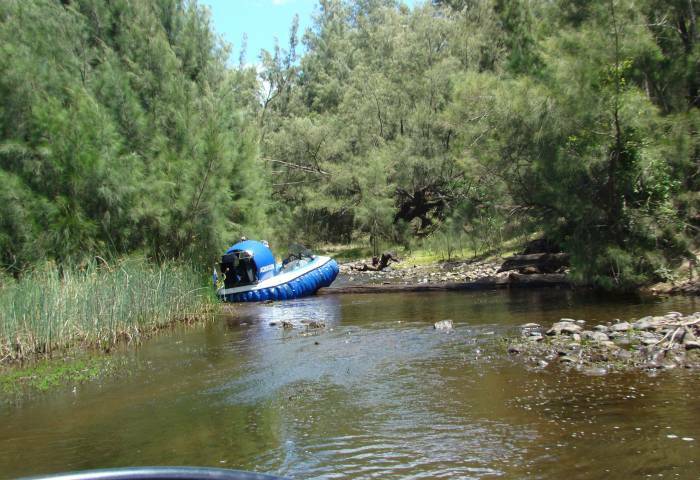 Cruise report - Shoalhaven River, Nowra NSW, Saturday 13th Dec 2009. 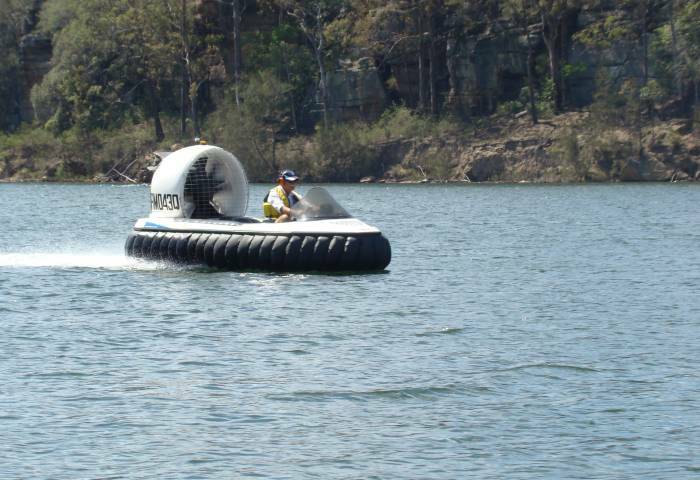 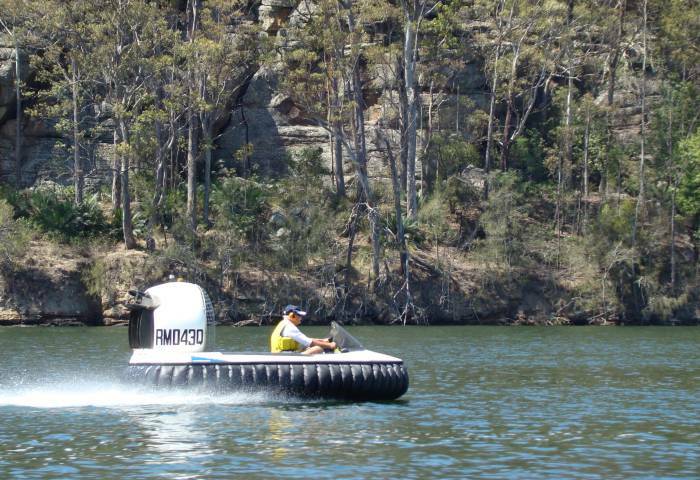 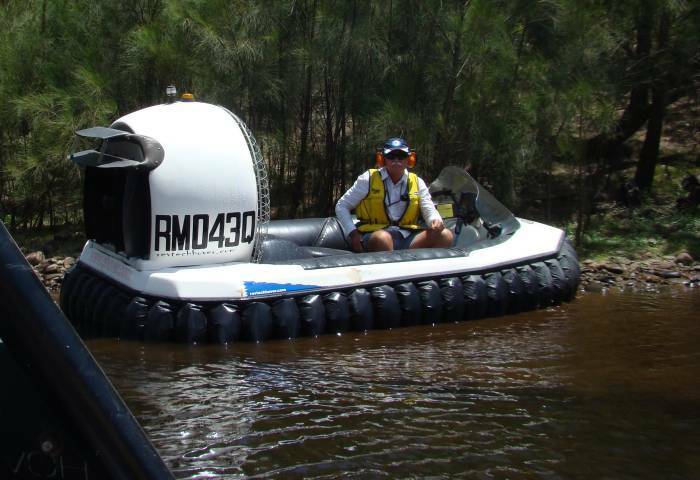 Arthur and Judy Stead towed the Renegade from Brisbane to Jervis Bay in December to participate with the NSW club at Camp Quality giving hovercraft rides for kids with cancer. 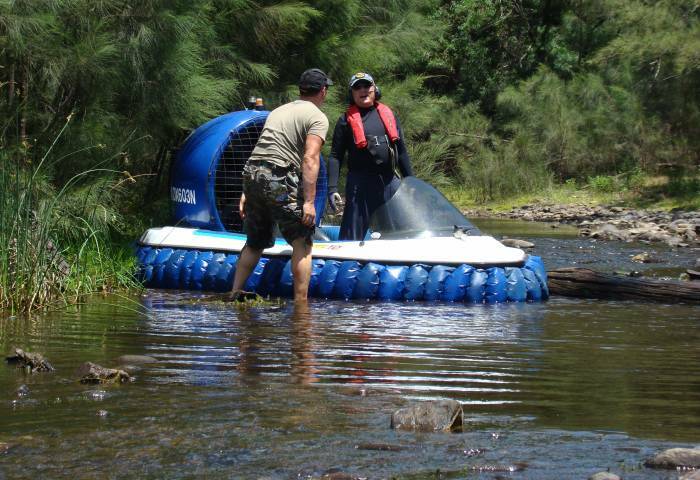 This event was held at the Commonwealth Naval Base, HMAS Creswell, about 200 kilometres south of Sydney. 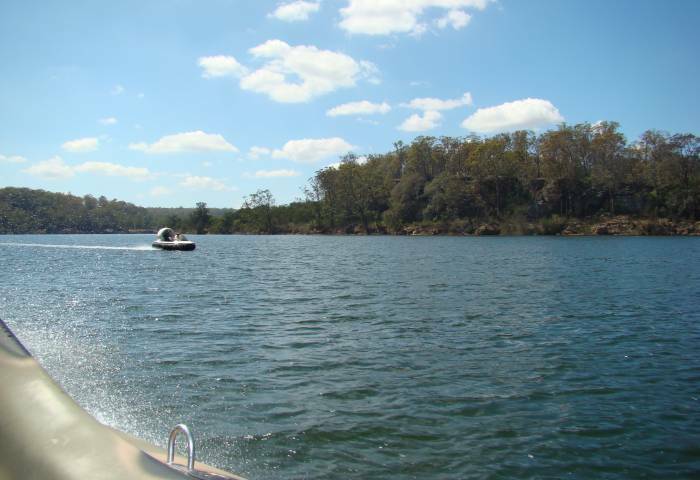 On the return journey from Jervis Bay the group stopped at Nowra for a cruise on the Shoalhaven River on Sunday 13th December 2009. 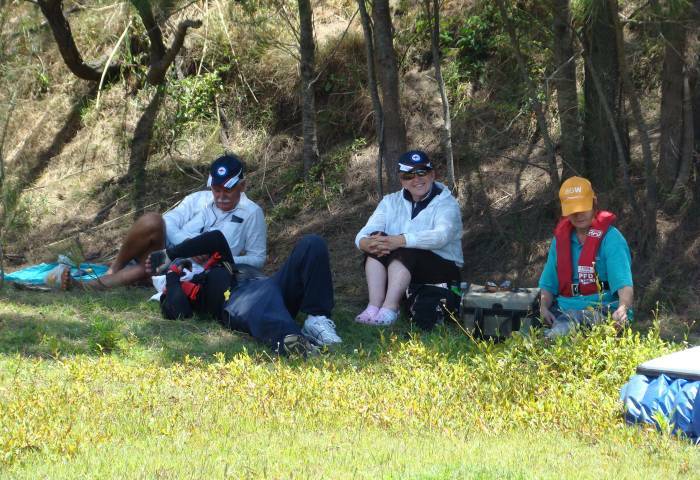 Karl & Judy Bowman - Revtech Renegade. 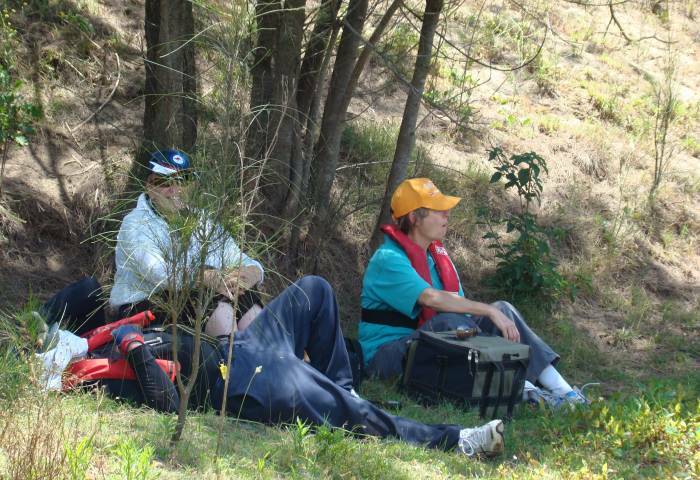 Eugene & Robyn Zanozin - Revtech Renegade. 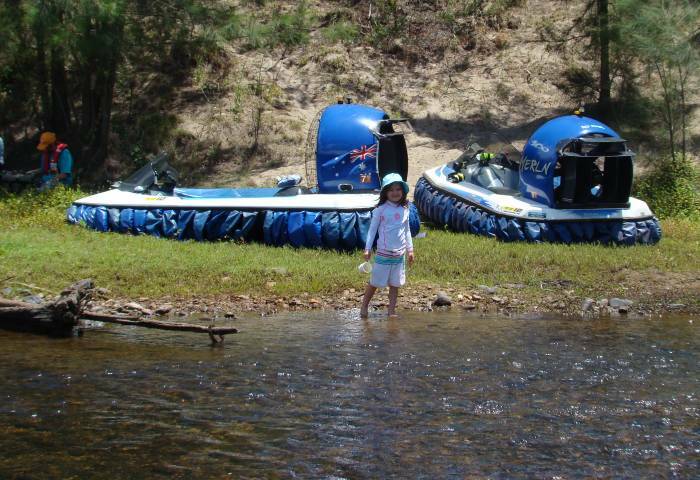 Arthur & Judy Stead with grand-daughter Ashlea - Revtech Renegade. 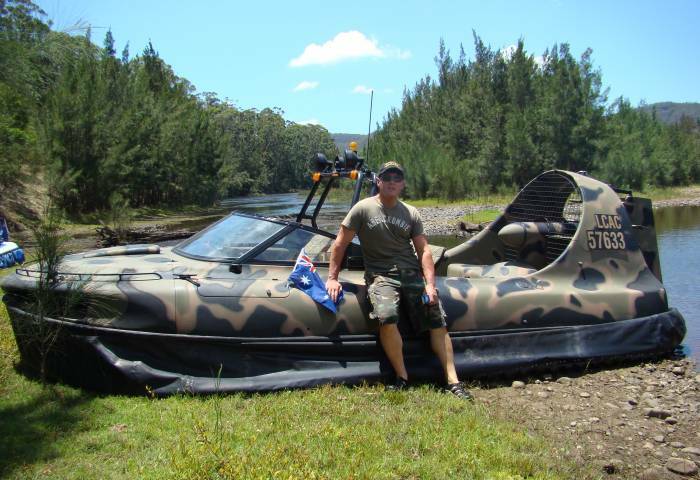 Peter (Rambo) Hardi - HoverFlyer 580. 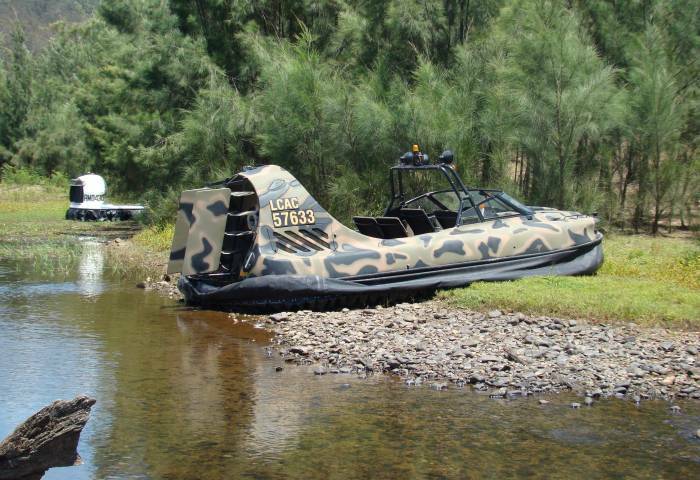 The four craft left the boat ramp beside the Princess Highway bridge in Nowra and headed upstream along the wide Shoalhaven River. 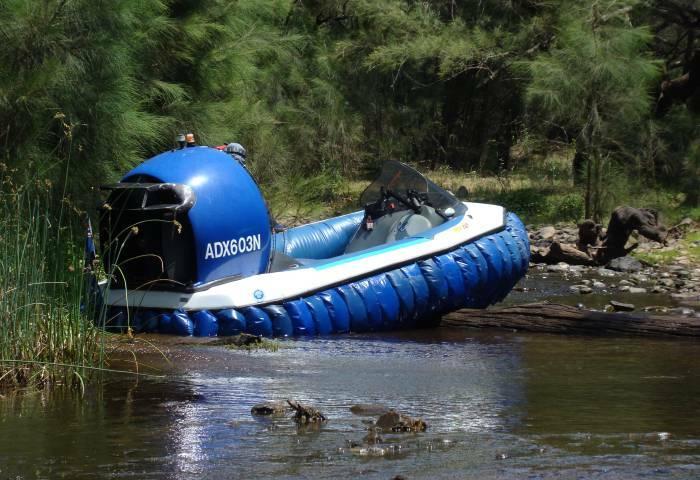 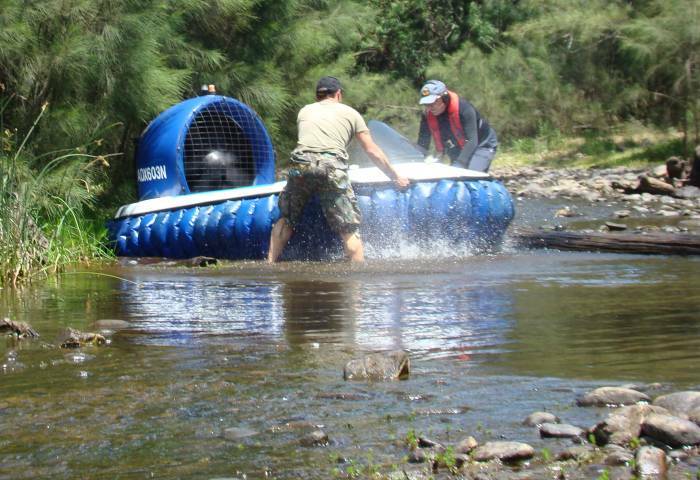 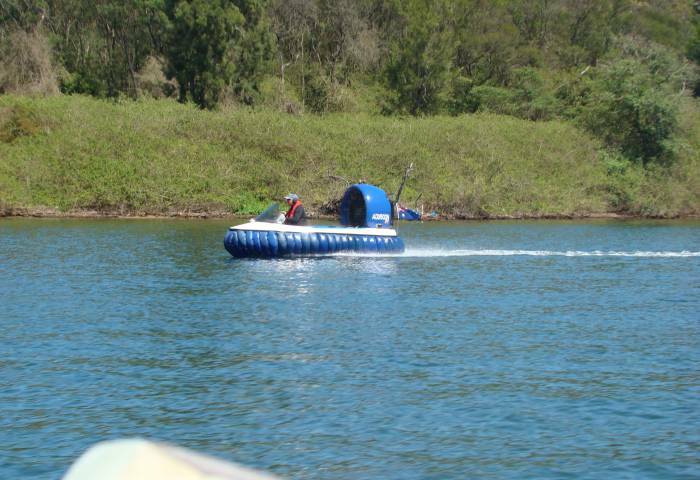 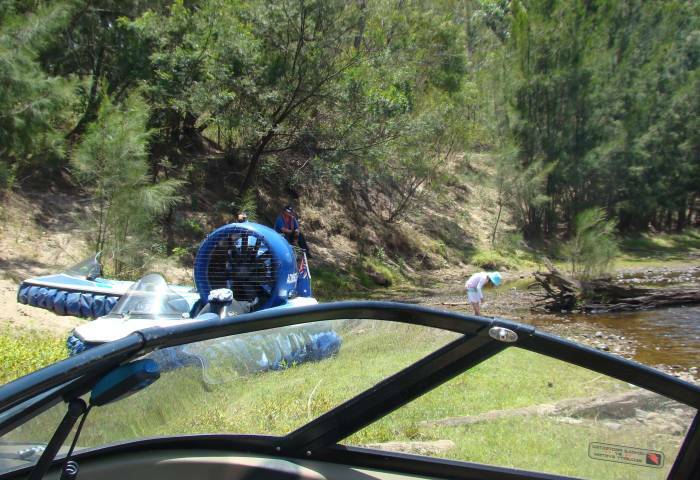 Judy Bowman, Judy Stead and Ashlea travelled with Peter Hardi in the roomy HoverFlyer for the trip on the river, while Arthur did his usual trick of forgetting to put the bungs in and spent a few frantic kilometres looking for a place to pull over. 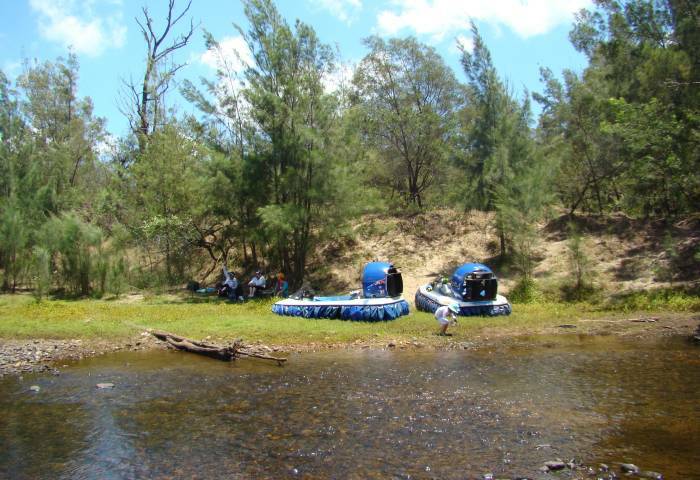 We had a very pleasant time on the Shoalhaven, and once out of the area of tidal influence found plenty of sandbars, rapids and narrow sections to play in, covering around 65 kilometres for the day.